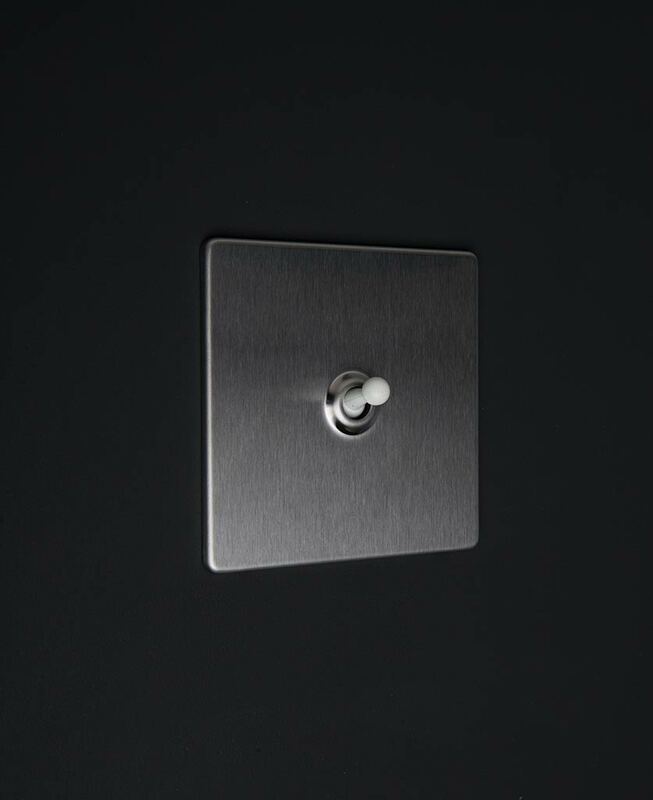 Our silver single toggle light switch is practically iconic. The very retro toggle incorporated into a contemporary style light switch that’s perfect for modern rustic and vintage industrial interiors. No self-respecting home is complete without a few of these switches – they’re just so cool. 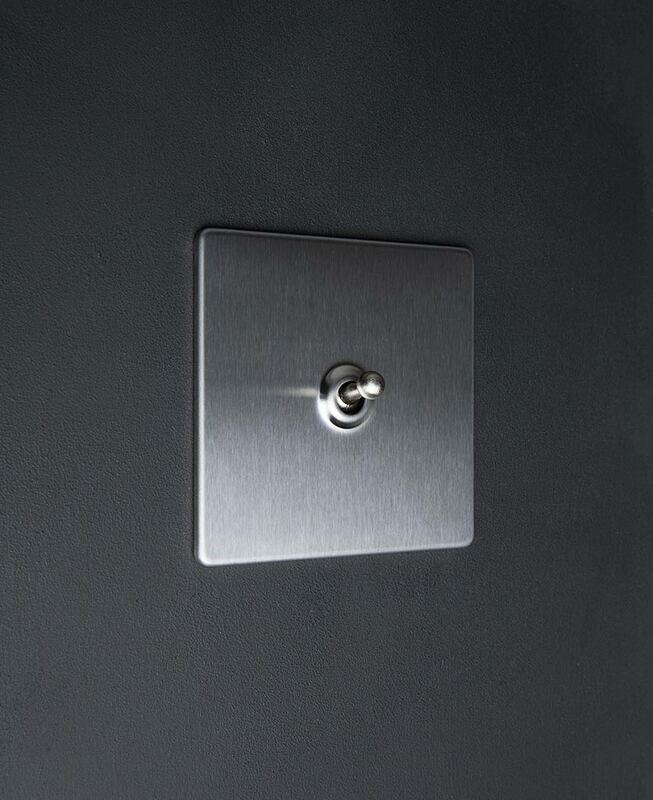 We love these silver toggle switches on pale grey walls – they look amazing anywhere to be fair… They add a metallic accent to matt walls that can lift your interior decor from ordinary to extraordinary. A bit like adding a high-quality steel watch or silver bangle to a monochrome outfit. It just finishes it off somehow. The devil really is in the detail as they say. This single toggle switch has a brushed steel plate and a choice of silver, balck, white or gold toggles. Its fittings are completely concealed for a tidy finish, and it’s LED compatible. Nice. We love this monochrome triple toggle switch. It blends in beautifully with white walls – the cool black toggles subtly attracting your eye to the switch’s location. On pale grey walls, this switch stands out a little more and on black, the contrast is superb. This is a chameleon of a switch in that it’s so versatile it can take on the style of its surroundings. This toggle is part of our silver switches, sockets and dimmers range. A selection of designer switches and sockets to perfectly complement your industrial style home. We know how hard it is to find stylish, good quality switches and sockets at reasonable prices. So we designed our own. Good quality, solid metal switches in colour combinations to suit every style personality.